This week-end, I really missed blogging… I am still hoping I would be able to write on here more than once a month! 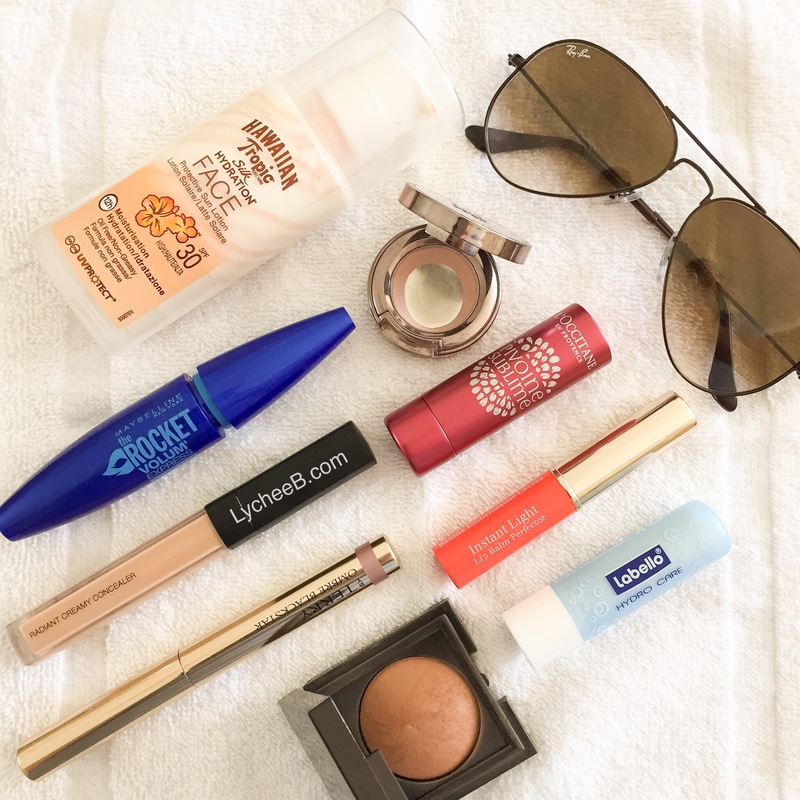 I though I would do a Summer Weekendy makeup post – Does that make sense ? probably not! My weekend makeup routine is really different from the rest of my week make-up as I basically spend 8 hrs a day in a window-less office at work during the week I don’t really feel like I need to protect my face from the sun as much. However, as I live in the south of France, my summer weekends are basically non-stop sun exposure- enjoying being outside as much as possible to cope with the window-less situation. It may look like I am complaining but I am really not! One of my off-duty struggles recently has been to my a tinted lip balm WITH SPF. It may sound silly but I want to protect my lips as much as I want to protect the rest of my face and body. Just wondering why it is so hard to find a good tinted lip balm with SPF… I love this Orange Clarins Instant Light lip balm perfector but the glossiness + the lack of SPF is a bad idea for a whole day in the summer. That colour is gorgeous though! On my hunt for the perfect lip balm with SPF, I have found this one by L’OCCITANE, the SPF of 25 sold me on that one. Turns out the colour and wear is also gorgeous. An unexpected winner if you ask me! The rest of my routine is really similar on top of my SPF from Hawaiian tropic- not sure yet if I like it. It does the job for the week-end for now! A little bit of Nars Creamy concealer in Custard, and Bourjois Healthy Balance Powder in Vanillia on top. On my lids, an eyeshadow stick from BY TERRY in Misty Rock on top of which I add Urban Decay Laced (see the rave for that product earlier on the blog). my mascara has been the same for almost three years: Maybelline The Rocket in Waterproof Black. please leave me in the comment if you have good recommendation of lipsticks/lip balms with SPF it would be really helpful!